At Mambo Microsystems Ltd, we offer hosting services that will get your business up and be running on the web in no time. We have different affordable hosting packages from you can choose. There is always something to suit all our clients’ diverse needs. 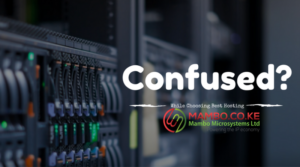 If you are looking for speed, reliability, and unlimited technical support, come to Mambo.co.ke, we are the best hosting company in Kenya and beyond. When you sign up with us, you are assured of a 99.9% uptime guarantee. A slow and an unreliable website will cost you and your clients a lot of money and time. Hence, we do our best to keep you online and ensure your Internet speed is superb, making your site enjoyable to visit. Our aim is to make sure you get the best services that will make your clients have the best experience. Being the best hosting company in Kenya, you can be sure that we have the best privacy measures in place to ensure the safety of our clients online. Mambo.co.ke values the privacy of all its customers and has impenetrable firewalls to protect you from any vulnerabilities. No other user will have access to your data. We also have daily backups to keep your databases and applications intact in case anything.